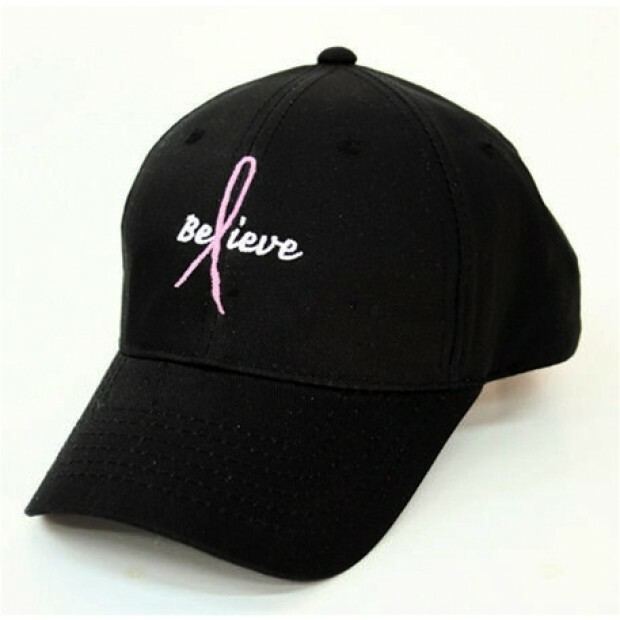 The cap features the word " Believe" and a large pink ribbon. The cap has a velcro closure and breathing holes on each side. One size fits all.